Special mornings should not be stressful. Why not make a basketful of these yummy Jam Muffins for Easter and start the day off with a smile. How can the kids resist these scrumptious jam muffins - the adults too! In February I bought a $1 box of goodies at a flea market.You can see the post here. I used two of the items from that box to create this Easter wreath. 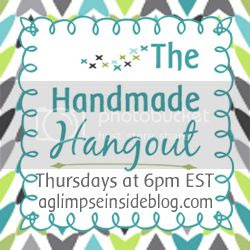 Once again I am excited to be co-hosting with the other co-hosts, Angie and Angel in March's month long networking blog hop - Chain Linky CLIMB. This is a great way to grow your blog. Please join us by adding your family friendly posts and don't forget to check out the CLIMB giveaway. Each host and co-host will showcase their favorite feature from the previous month. You can check out if you were featured by stopping by each host and co-host. Happy St. Patrick's Day everyone! Are you seeing lots of green? Why not win some green? 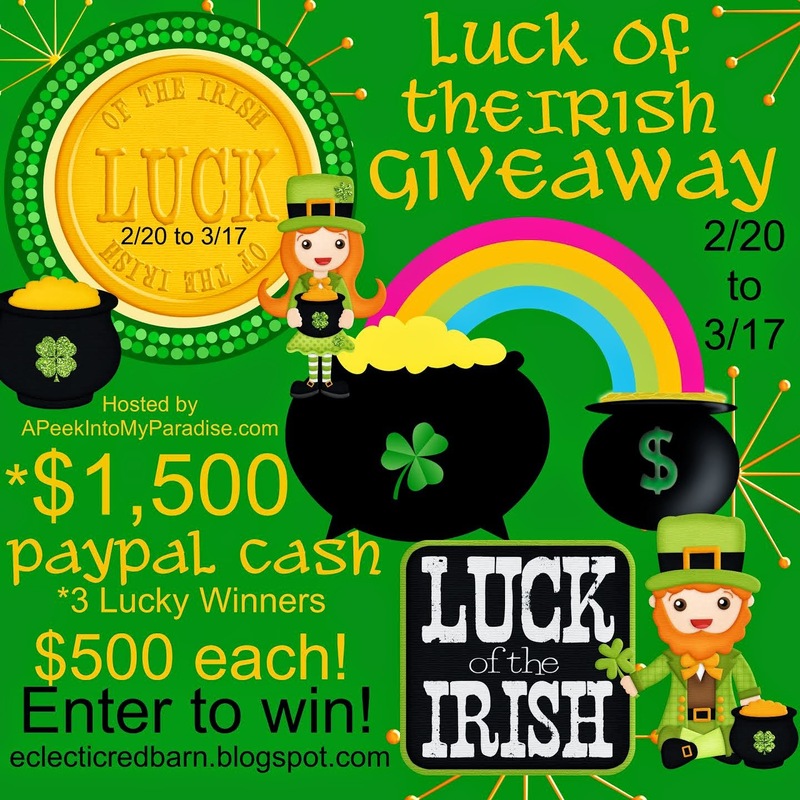 You could win one of three $500 cash prizes in the Luck of the Irish Giveaway that will end today. You still have time to enter and win. I don't do a lot of decorating for St. Patrick's Day, but I did manage to make some cupcakes for my husband to take to work. I made these before coming to California. 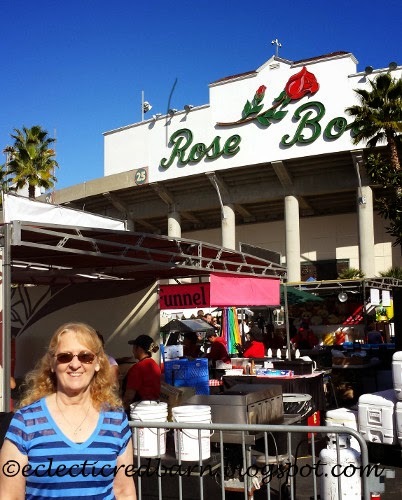 I was so excited to find out that the Rose Bowl Flea Market was being held while I am in California. I usually don't time my visits right to attend. The day was glorious, blue skies and around 80 degrees. Off we went. I just wanted to send a little spring to all of you who are still dealing with the cold and snow. Spring is coming, although it probably doesn't seem that way right now with the ground covered in white. 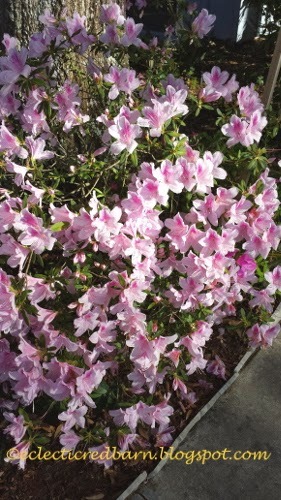 We were at our other house this weekend, and the azaleas were blooming and they were so beautiful. I thought I would share a few pictures with you.